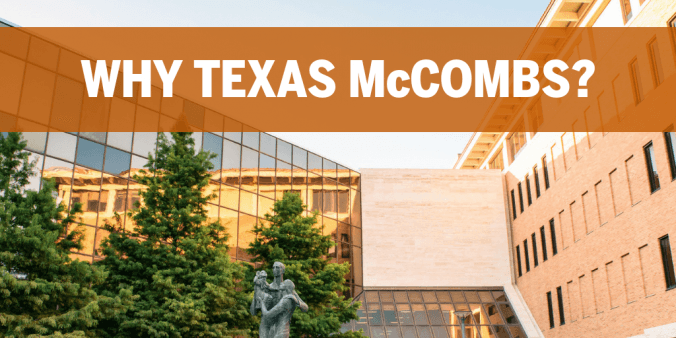 1) Top-Ranked Accounting: The McCombs School of Business graduate and undergraduate accounting programs are Ranked #1 with U.S. News and the Public Accounting Report. What contributes to our reputation for excellence? 3) Great Place to Live: Would you like to live in a city that offers a relatively moderate cost of living and other attractive features? The city of Austin regularly tops many rankings. Austin offers great weather and plenty of outdoor activities in a laid-back, friendly environment and consistently receives high accolades for quality of life, innovation, employment opportunities, cost of living…and the list goes on…. 4) Longhorn Spirit: The University of Texas at Austin is filled with history and traditions and plenty of exciting athletic events. Want to learn more about our program from a student’s perspective? Contact an MPA student ambassador. Top 9 things to do in Austin!